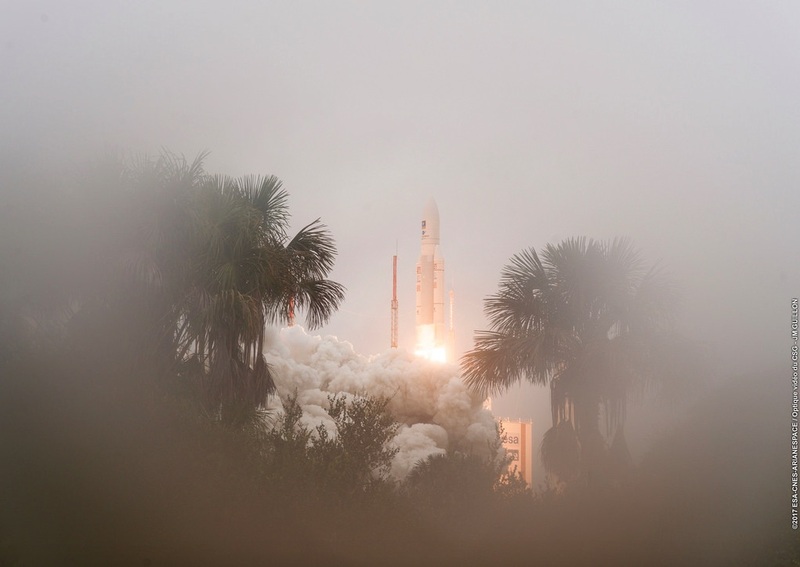 An Ariane 5 rocket launch Tuesday added four more navigation satellites to Europe’s Galileo network with an on-target deployment following liftoff from a jungle spaceport on the northeastern coast of South America. 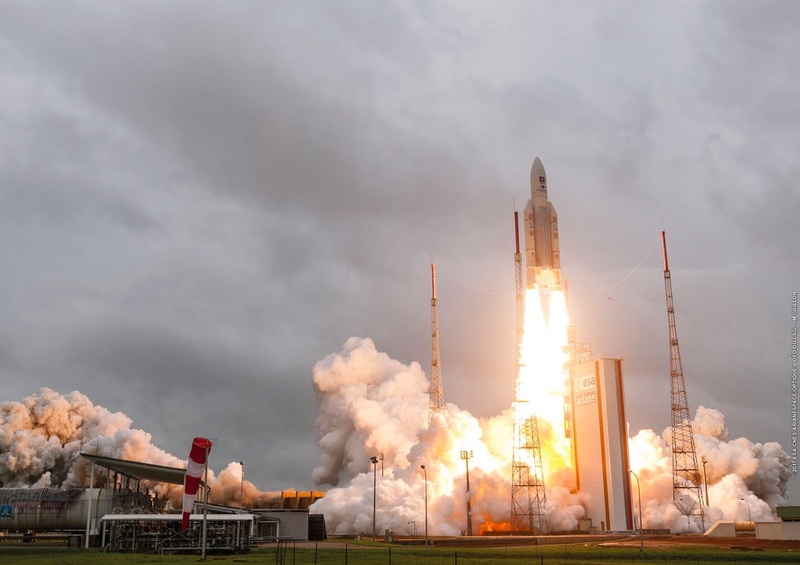 Two solid rocket boosters and a hydrogen-burning Vulcain 2 engine gave the Ariane 5 rocket a push off its launch pad with 2.9 million pounds of thrust at 1836 GMT (1:36 p.m. EST; 3:36 p.m. French Guiana time) Tuesday. 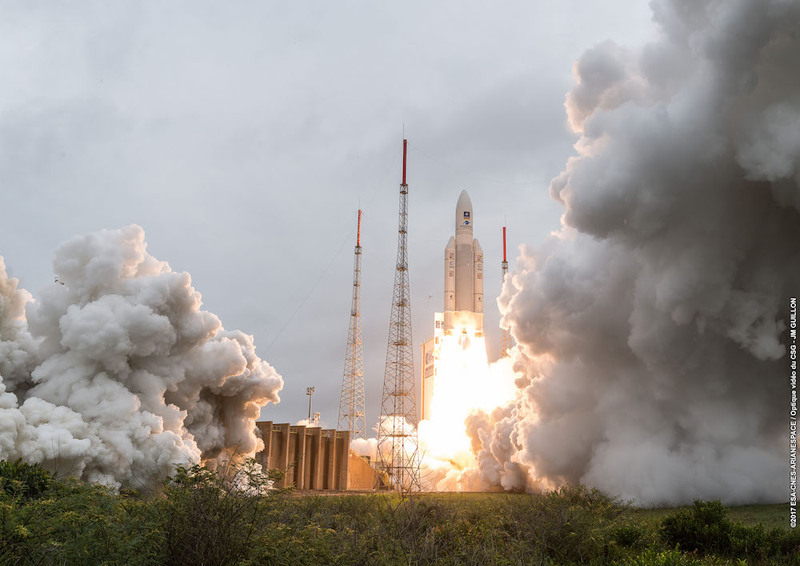 Four hours later, the Ariane 5’s upper stage released the four Galileo navigation satellites in two pairs more than 14,000 miles (nearly 23,000 kilometers) above Earth. 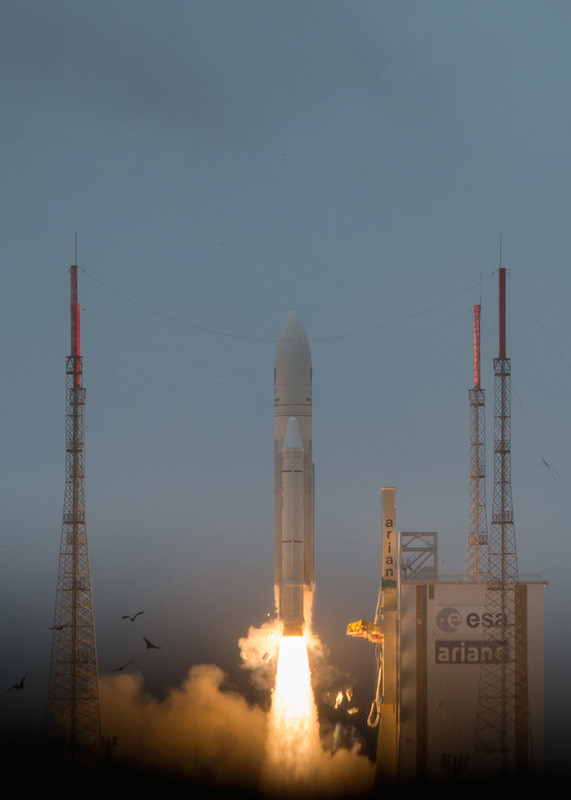 bringing the total number of European positioning and timing spacecraft in orbit to 22. 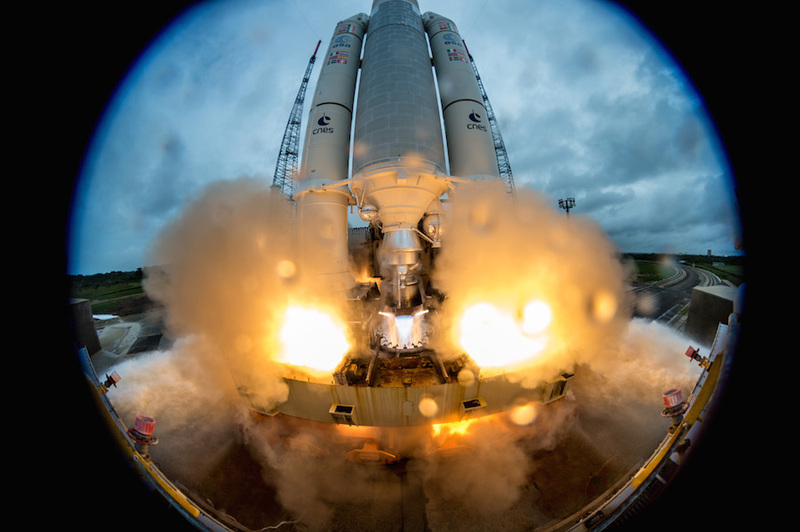 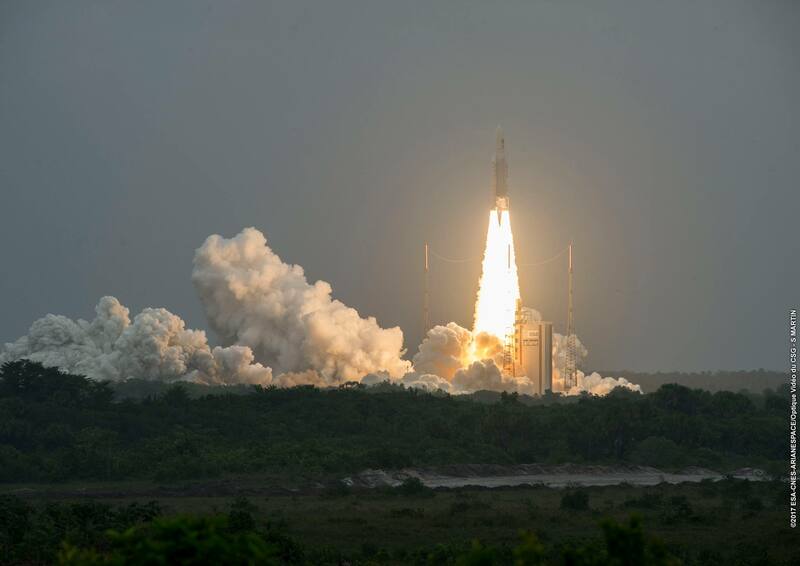 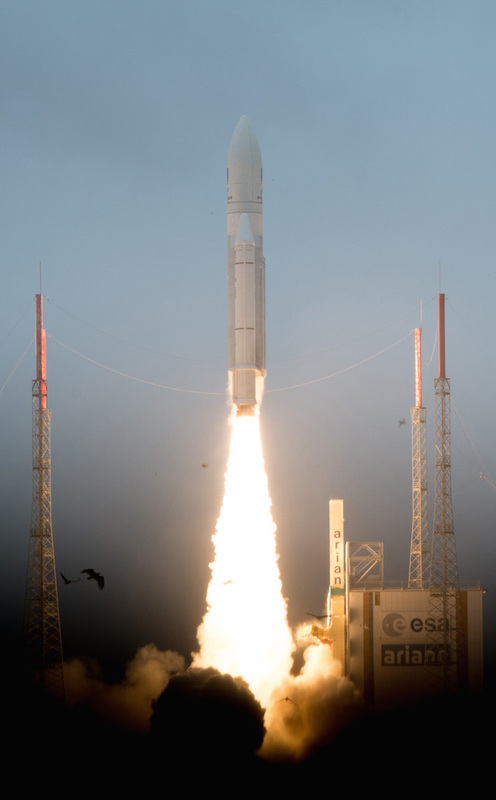 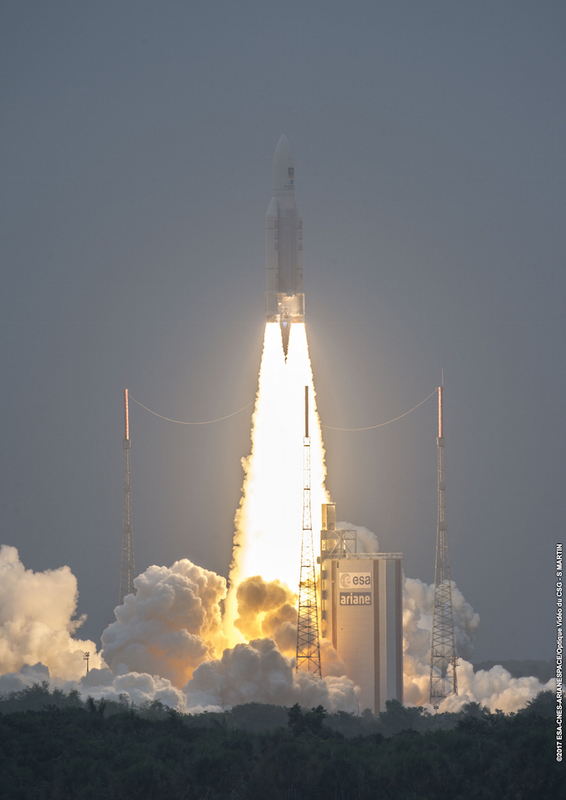 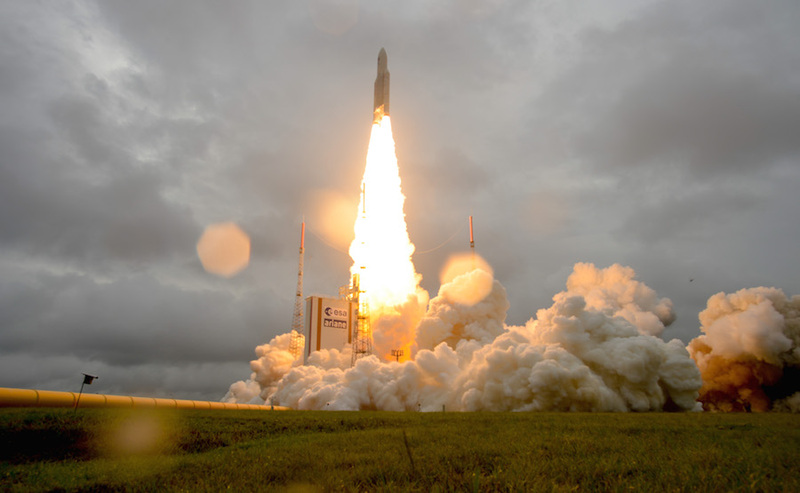 The launch from Kourou, French Guiana, marked the 82nd consecutive success by an Ariane 5 rocket. 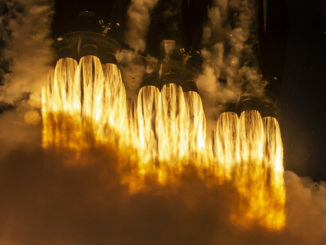 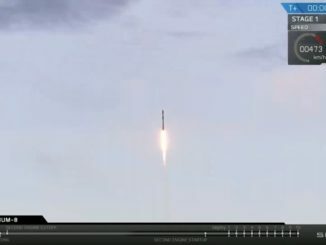 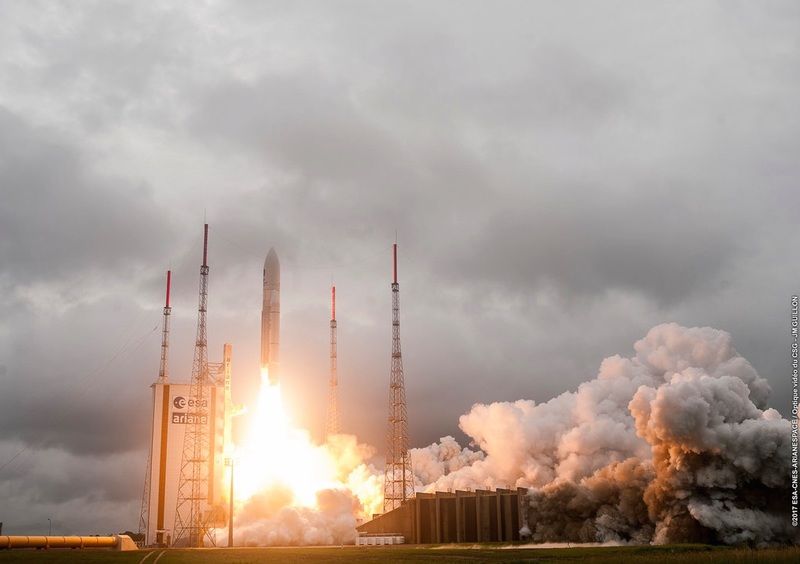 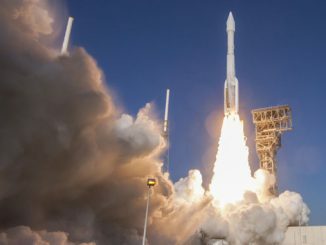 It was the 11th and final launch of the year managed by Arianespace, the French launch provider responsible for Ariane 5, Soyuz and Vega missions from the Guiana Space Center.